Epic metal quintet RISING will release its fourth album, Sword And Scythe, on October 26th via Indisciplinarian. 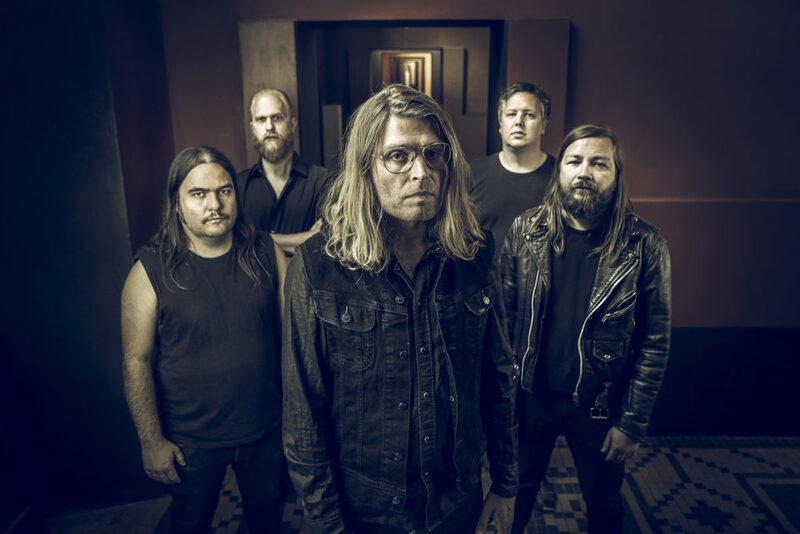 The band now releases a new single and video in the shape of the aggressive yet super melodic “Hunger And Exile” through a premiere at Decibel Magazine. See RISING’s video for “Hunger And Exile” at Decibel Magazine RIGHT HERE. Also, one can Stream “Hunger And Exile” on digital services HERE and see the video for the first single “Salted Earth” HERE. Sword And Scythe will be released on October 26th on black virgin vinyl 12” LP with a beautifully illustrated gatefold cover, as well as all digital formats via Indisciplinarian. Find US vinyl preorders at Earsplit Distro HERE and international preorders at the label webshop HERE. 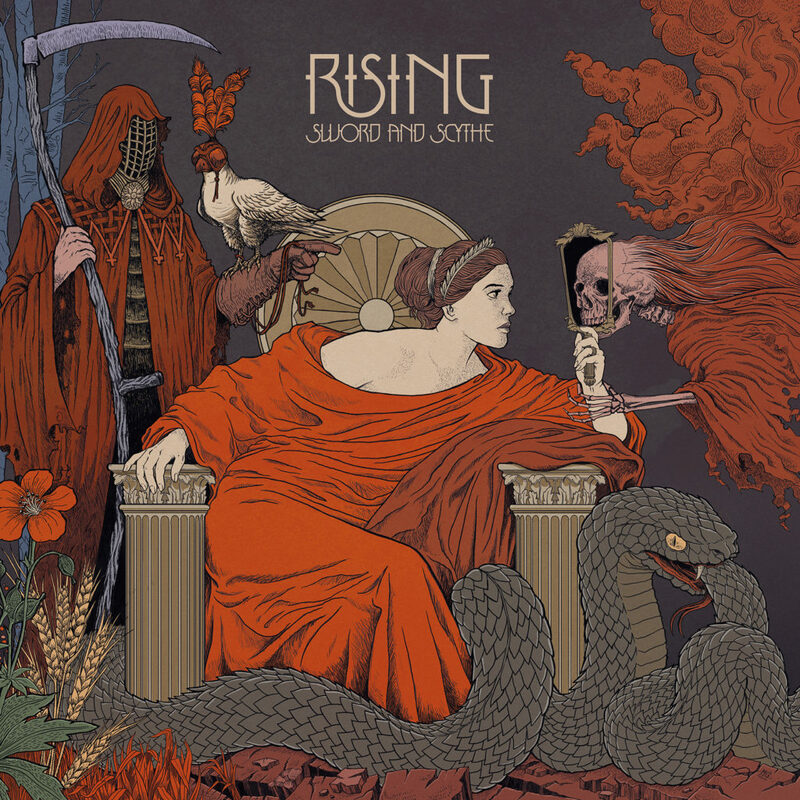 RISING takes an ambitious leap with Sword And Scythe, a concept album on the history of mankind seen from the perspective of cosmic circularity, where the full potential of the band’s musical vision unfolds in a collection of songs of both progressive outlook, melodic mastery and fierce aggression. Sword And Scythe consists of ten songs and two short instrumentals produced by Jacob Bredahl and RISING, while the album’s artwork are once again created by singer Morten Grønnegaard. The album features guest musicians Anders Hjort Straarup on trombone, renowned Danish rock musician Tim Christensen (Dizzy Mizz Lizzy, Tim Christensen) on mellotron, and backup vocals from Simon Stenbæk of labelmates Piss Vortex. To celebrate the release, RISING is booking shows across Denmark and elsewhere on European soil, including a free release show at Refshaleøen, Copenhagen on Saturday October 27th. RISING is also preparing for a German co-headlining tour with Earthship and a performance at the esteemed Aalborg Metal Festival in their native Denmark. Winter and spring dates will be announced over the coming weeks.